When your needs change, we change with them. Scale Up or down your VPS with a few clicks. To make changes to already existing VPS, first log in to the Client area, open desired VPS (KVM or OpenVZ) and click Upgrade. Now review the changes and continue to check-out section, selecting preffered payment method. 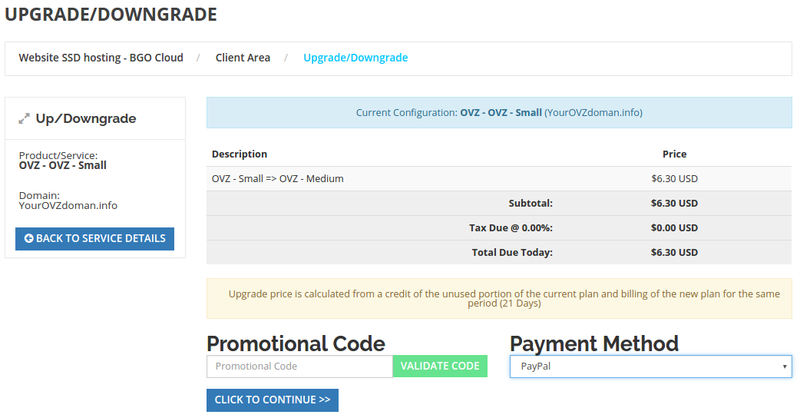 The upgrade price will be calculated based on remaining days to the current billing cycle, so You pay only for the rest of the days until the current period.